Food For Joy! 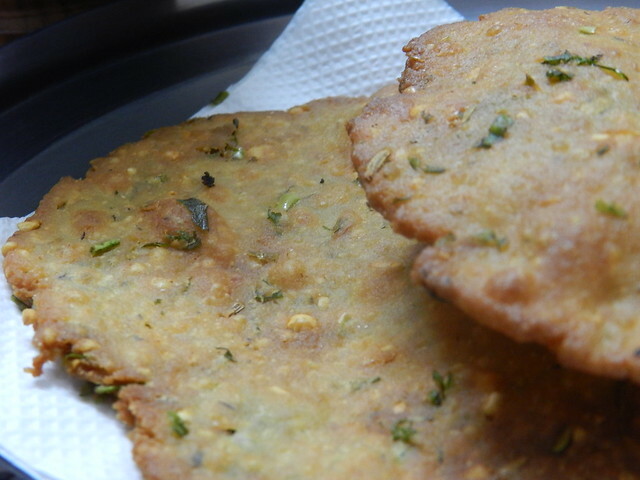 Mosaru Puri (Yoghurt based deep-fried snack) - Food For Joy! I usually look into my cookbook collection and try to get an idea about mixing ingredients and come up with a new recipe on my own. Baking interests me a lot these days and I’m still trying my way out into making a perfect vegetarian cake. I do have a few experiences in baking and I did try out some methods, but my cakes still require some improvements in texture. There is one more person in my house who is passionate about cooking, my FIL. :) He can cook well. Sometimes he comes up with recipes just by mixing up some random ingredients in the cooking pot. What he prepares best are those deep-fried delights. Not many can actually prepare really good quality deep-fried stuff. 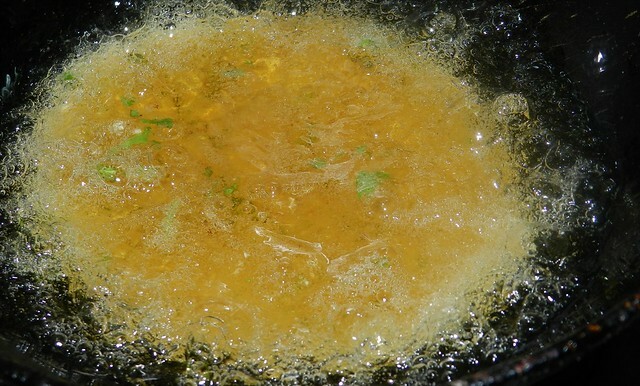 Of-course, you need to be careful whilst choosing your vegetable oil for deep-frying. 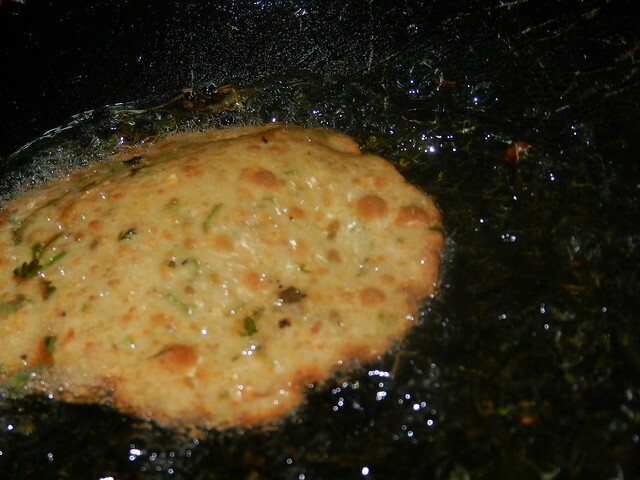 My article section http://foodforjoy.in/choosing-the-right-vegetable-oil/ can help you how to choose the right vegetable oil. My satisfaction was with two facts, one because I learnt something new, another because I got a reason to post something on Food For Joy! 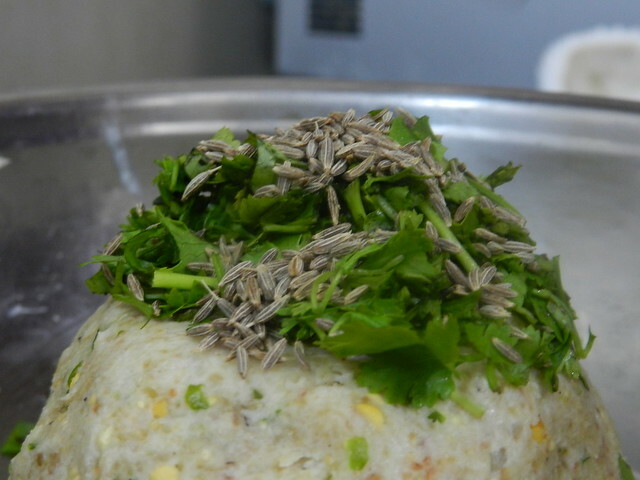 I do not compromise on any opportunity to learn about traditional cooking. The recipes of our ancestors need to be passed down to the next generation. We can’t lose out on that. This is what pricks me sometimes when I’m reminded about my mother. In my younger days, I remember she used to cook certain things that were really delicious, sadly they are now out of reach. Especially a traditional brown sweet, I have no clue as to what was it. I only can recall how it tastes. Of-course there is always a belief that down the line, I’ll surely come across these lost recipes and learn their names as well! 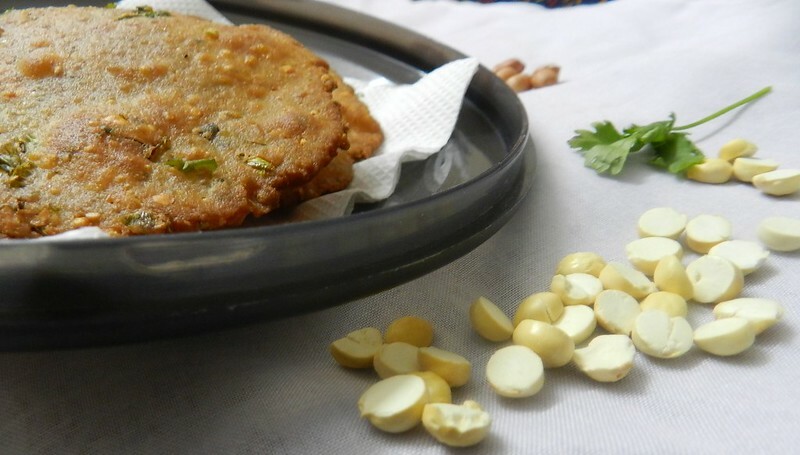 This recipe is a crispy deep-fried snack made from roasted gram dal, raw (unroasted) peanuts and yoghurt. 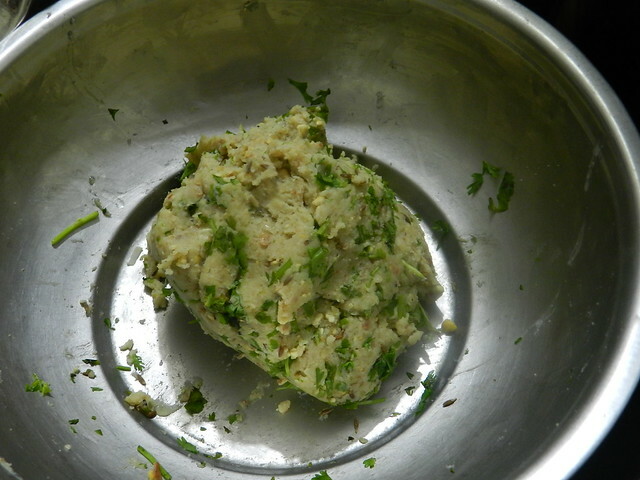 Step 1: In a mixer, grind peanuts, roasted gram, coconut and green chillies. Grind until the texture is crumbly. Do not grind it smooth. 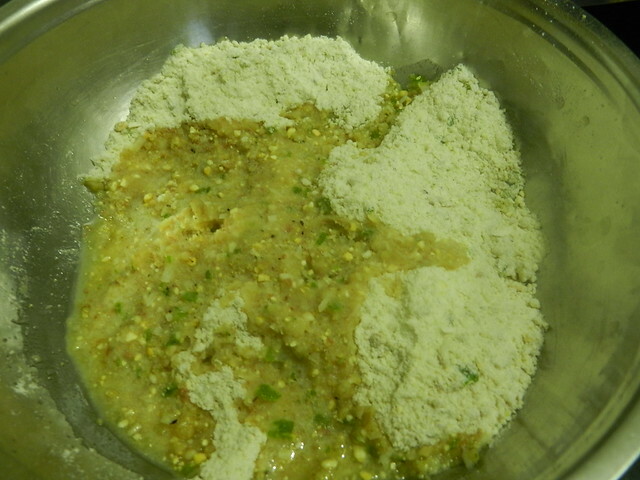 Step 2: To this mixture add wheat flour, rice flour and salt. Mix well. 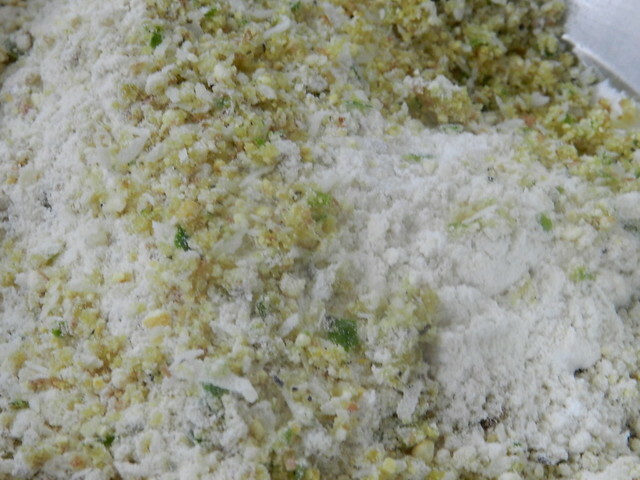 Step 3: Add 2 tbsp of vegetable oil to this mixture. 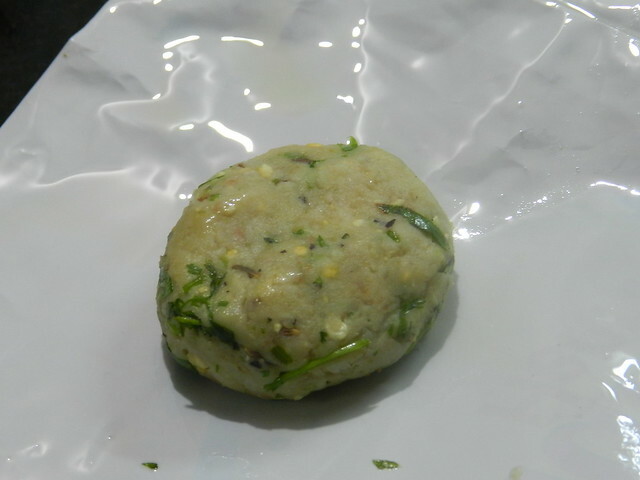 Step 4: Now add yoghurt, coriander leaves and cumin seeds and make a dough as shown below. Step 5: Let the dough rest for ten minutes. Step 6: Make jamoon sized balls of this mixture. Step 7: In a parchment sheet, Aluminium sheet or a clean plastic sheet smear a bit of vegetable oil. 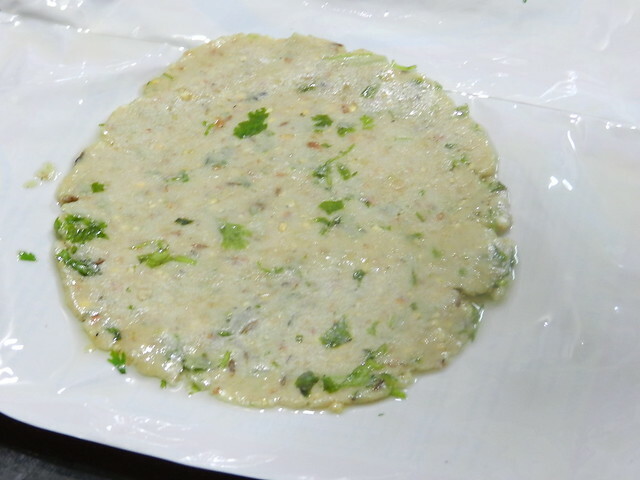 Place the prepared rounds on this greasy sheet and pat with your fingers to make it flat. 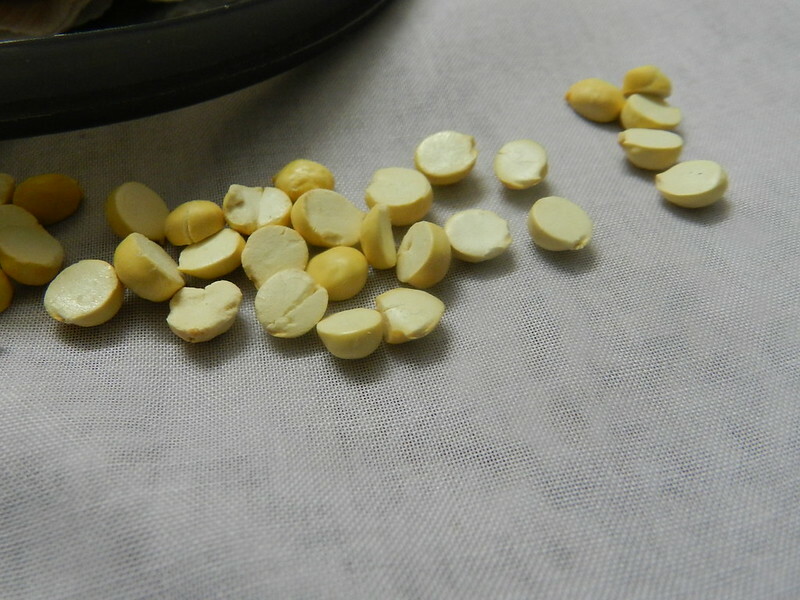 Step 8: Pull out these carefully and put them into a wok containing heated oil. 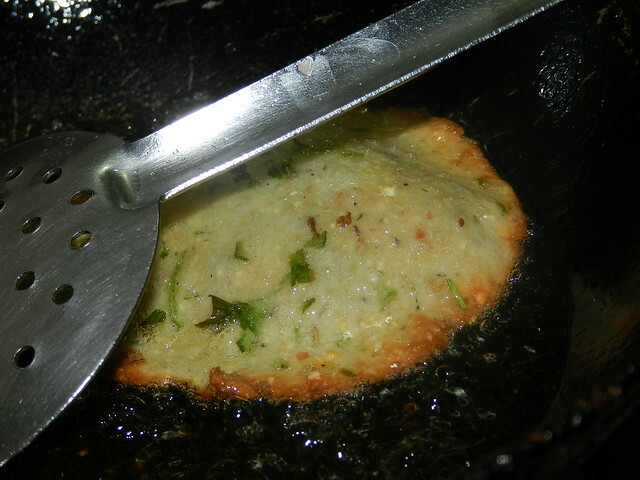 Deep fry on both sides until they turn golden brown. Can i add a bit of bread crumbs for a bit of crunch? 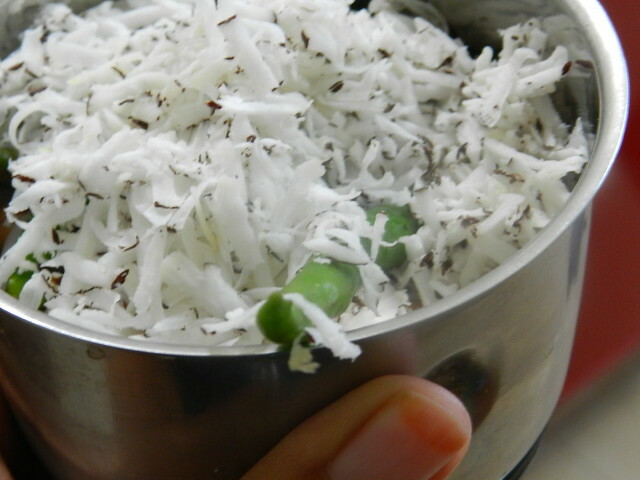 nice recipes pratihiba. i tried masoppu and its outcome was great. 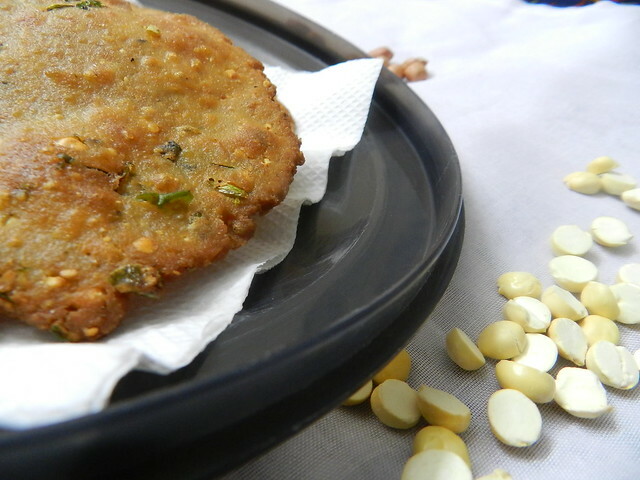 Tasty snack on a rainy day with a hot cup of tea! looks so healthy & delicious…mouthwatering! Stumbled upon your blog, you have a lovely space. Its so well organised :)) and yes nice recipes too!! Do drop in a visit at The Runner Girls Kitchen. Looking forward to dropping by more often. 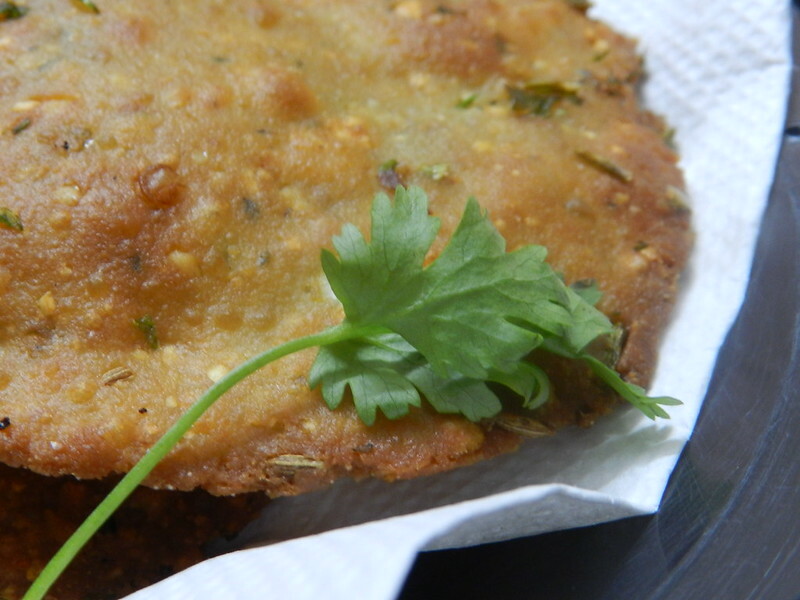 Lovely puris! Simple, healthy and wholesome dish. I like your step-by-step clicks also. Do join us in this fun blog hop. Thank you Anuja. :) and thanks for the invite as well.